King John’s Castle, Limerick, is a magnificent medieval fortification located along the western side of a large island in the River Shannon It is a Recorded Monument and a National Monument in Guardianship, and one of the most important Anglo-Norman castles in Ireland. The castle formed part of the urban defences of Englishtown, one of the two walled settlements that defined the city of Limerick in the medieval period. Four major excavations were carried out at the castle between 1990 and 1998, the results of which are the subject of this volume. The lengthy campaign of excavations at the castle revealed a wealth of information that transforms our understanding of the monument. 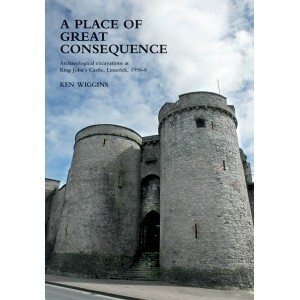 The aim of this volume is to communicate these findings in a format that is of lasting benefit not only to academics with an interest in medieval fortifications, but also to the wider public in general and in particular to the people of Limerick, who take immense pride in this most widely recognised symbol of their city.